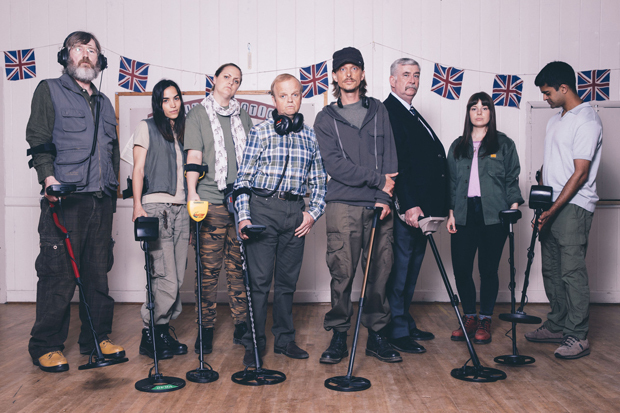 We are all very sad to say good bye to our favourite characters from the Detectorists. On a positive note we can proudly say that we supplied some of the metal detectors seen in the program. Louise the Danebury Metal Detecting Club member and Paul, member of The Antiquisearchers are using our Garrett Ace 250. Andy finds his first gold with the superb XP Deus and Garrett Pro-Pointer points him toward the treasure. Sophie, young History student, chose Eurotek for her first metal detector. We are truly happy and proud that the equipment from Regton took part in creating such a magnificent program. The show will return for a new series late next year. Can’t wait! Other metal detectors appearing in the show like Viking used by Becky – Andy’s girlfriend, Hough and Varde – DMDC members and Minelab CTX 3030 used by Lance, Terry’s Minelab Safari and Russell’s Minelab X-Terra are also available to purchase in Regton shop. Can’t seem to find the “power ranger” detectors on your site !! … Great series and look forward to the next. What is the giant coil Lance has on his CTX towards the end of season 2? I’m new to detecting and just found the show in Canada. My wife was teasing me because I use the same detector as nerdy Paul of the Dirt Sharks! So envious of the history you folks have over there; so much to find. My most interesting find so far was in my backyard…… a 1967 Elizabeth II British Bronze Half Penny. Love to now how that got in my backyard in Northern Ontario Canada ???? Excited here in the US to see a new season on AcornTV – but it looks like the detectors are newer models? Can you provide any details on what the two lead characters are using on the show? Andy is using an XP Deus metal detector and Lance has got a Minelab CTX3030.